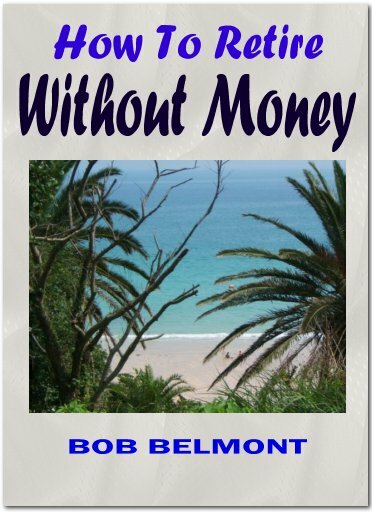 WHEN I first considered writing this book I chose as a title "How to Retire at Age 21" but on consideration realized that this might drive away anyone above this age when actually the book is meant to be of value to a reader of fifty as well as one just reaching his majority. Had I used my first title I am sure there would have been some who would have gone no further than the title itself. "Retire at the age of 21?" they would have said. "Nonsense! The average American is lucky to retire at 65—if ever." But while I could agree with them that the average American is lucky if he ever retires at all, I still contend, in fact, I insist, that it is quite possible to retire at just about any age given no more than the usual basic education and an average American intelligence. Why am I so sure of this? Partly because I have met hundreds, possibly thousands, of Americans who have done so both in our own country and abroad. But mostly because I myself called it quits with the rat-race when in my early twenties and have led the good life ever since. Possibly the word retirement means different things to different individuals. If you mean by retirement a life of complete withdrawal from the world and no activity beyond a 24 hour day loafing, then you need read no further because I can't help you. The only manner in which to achieve this, so far as I know, is to inherit a sizable fortune and I doubt that the average reader of this book has done so. I might mention that such persons, who have retired in this manner, are seldom happy. I have met them all over the world, and they are seldom happy. Retirement, to me, means escape from the rut in which most find themselves today not only in our own country but in the civilized world as a whole. It means a comfortable life and one in which a maximum of leisure can be enjoyed. I also require pleasantness of surroundings both scenic and climatic not to speak of desirable companionship. This book is directed at readers who are dissatisfied with their lot as robots in a factory, toilers in the fields, clerks in offices or super-markets. It is directed at those who want to enjoy life while they are still young enough to enjoy it fully. You can retire, whatever your age, if you wish. I did and I am not more than an average American. I had an average education (possibly a bit less than average) and have no more than average intelligence. I don't particularly have the "gift of gab" and am certainly not a slick article. The one manner in which I depart from average is my refusal to join the ranks of my fellow Americans in what seems to me a mad dash toward oblivion. I am not a religious man but there seems to me an absolute destruction of the soul in life as it is led today in our country by the overwhelming majority of our citizens. Frankly, I am not particularly interested in driving a Cadillac nor a Lincoln. I feel no particular need to live in a house bigger than that of my neighbor and containing more electrical gadgets. I have no desire to keep up with the Joneses. And I absolutely refuse to acquire an ulcer while attempting to do so. If, while living life as I see it, I do manage to acquire a maximum income, I certainly wouldn't refuse the larger cars, the ultra-comfortable homes—but I refuse to kill myself, physically and spiritually, in the attempt. It's as simple as that. When the army released me I found myself with a burning repulsion against getting on the treadmill I saw my fellow man plodding. I had a little more than two thousand dollars and determined not to seek employment until I had spent that amount seeing the world and spending my time living in the manner that seemed most desirable to me. What had happened was that as I stopped a few months in this country, half a year in that, a few weeks in another one, I found ample opportunity to pick up a well paying job of an interesting and not too arduous nature in one spot, or a small investment opportunity in another, or to swing a deal of one type or another somewhere else. Many of the case histories of Americans who have found a better way of life which you will find in the body of this book, I have actually utilized myself. Once in awhile I made a mistake, but since my primary concern was not in getting rich by risking all but only in leading a pleasant life, rich in all respects except possibly large amounts of money, I was never really hurt financially or otherwise. The acquiring of a lovely wife, and of children, brought home to me the necessity of a more settled existence than the one I had enjoyed so many years abroad. But I found no need of a return to a humdrum life and what amounts to slavery. Right at present I am writing and selling books by mail and make sufficient to enjoy life here in our own country with a minimum of effort. We plan soon a retirement in, or near, McAllen, Texas—a paradise in many respects. When the children are grown and on their own, who knows? Perhaps again the Belmonts will find themselves in Mexico, Europe or the Far East. One thing is certain, they will never come out of retirement.